Fatgirl Hedonist: Pub-Crawls and Boozy Adventures with SWSBevGirl! Pub-Crawls and Boozy Adventures with SWSBevGirl! 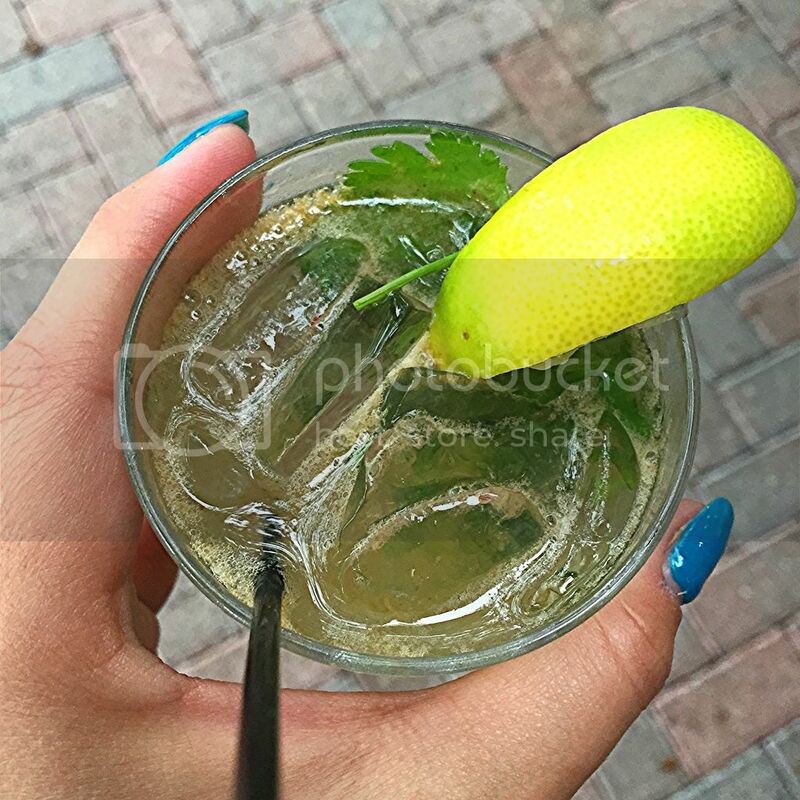 I had the pleasure of teaming up with SWSBevGirl, the persona created by the social media folks over at Southern Wine & Spirits of Florida, for an epic pub-crawl in Delray Beach. You might recognize the name, "Southern Wine & Spirits," since they're one of the main hosts for a small, little annual party called the South Beach Wine & Food Festival. The pub-crawl was hosted by both Partida Tequila and SWSBevGirl in celebration of National Tequila Day. Participants were all winners via SWSBevGirl's Instagram contest and were treated to an all expense paid, gluttonous tequila infused celebration. Y tremendo celebration se formo, six restaurants, countless drinks and a gluttonous amount of food boiled down to quite the pachanga on Delray's Atlantic Ave. The crawl started just as Friday happy-hour was gaining steam at El Camino, a tequila bar and Mexican soul food joint right off of Atlantic Ave. Every participant was handed a score card and was advised that amongst the mixologists there was a competition for the pub crawl and the best cocktail from the 6 restaurants won a prize. 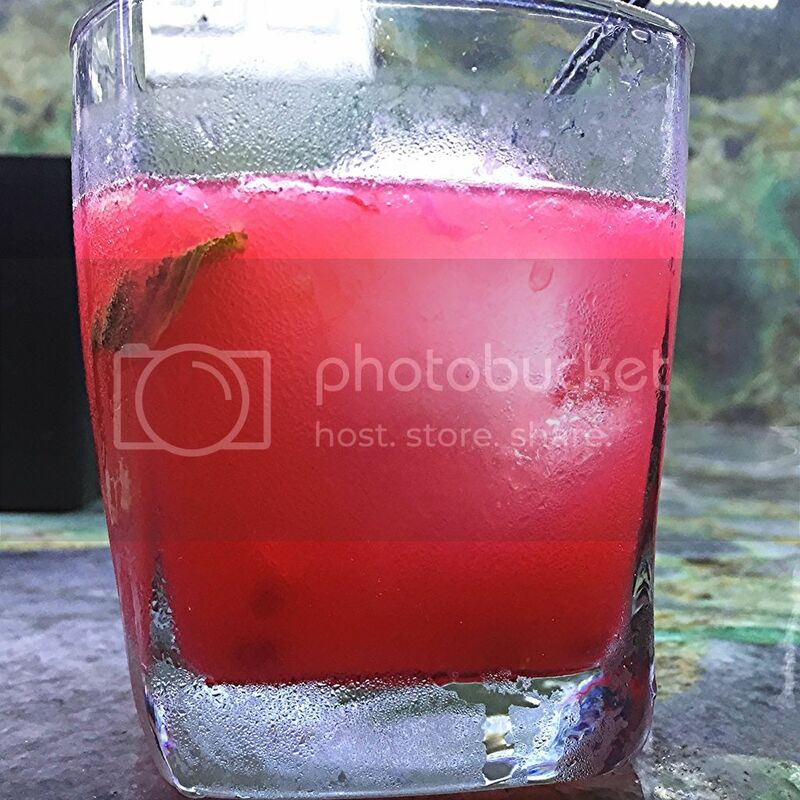 Our first drink was El Camino's P3 made with Partida Tequila, habañero infused ginger liqueur, fresh watermelon juice, pineapple and lime juice. In addition to the cocktail there was an epic spread of nachos, different types of quesadillas, chips, guacamole and salsa for days. Next stop was City Oyster for their Salsarita. A twist on the Margarita with Partida Tequila, cilantro and tomatoes. This drink was definitely more on the savory side with the large amount of cilantro it had. To help line our stomachs, we were also treated to a mountain of fresh oysters and tuna carpaccio. 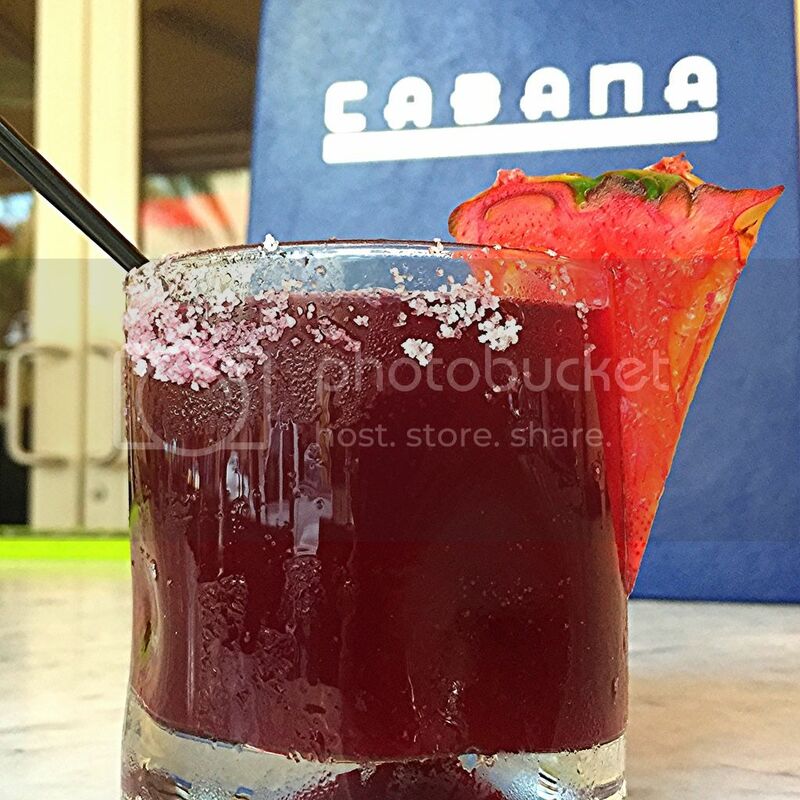 The crawl continued and we made our way to Cabana for their Chicha Morada. 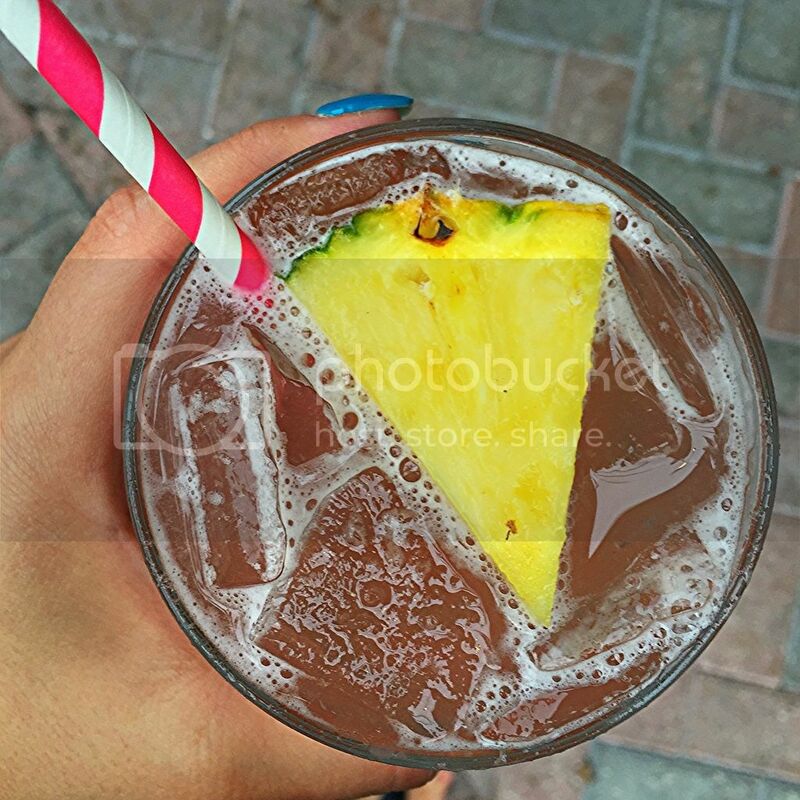 Made with Purple corn, pineapple and Partida Tequila, this drink suddenly became every one's favorite. The cocktail's chicha and pineapple flavors overshadowed the huge amount of tequila in each glass, making this cocktail delicious and dangerous. In addition to this easy drinking cocktail, before us was laid out a feast of Cuban empanadas, ceviche, plantain chips and churrasco skewers. By this point, people were starting to really loosen up as most people had enjoyed 2-3 rounds at each stop. From Cabana we stumbled over to Brule Bistro for their Palabra Ultima. Made with Partida Tequila reposado, yellow chartreuse, maraschino liqueur, lime juice and garnished with a lemon twist. Sweet and tart. Think of a lemon drop shot on steroids. Everyone enjoyed their cocktails, mingled and before we knew it we had to head to our next stop. Stop number 5 on this insane tequila train was Buddha Sky Bar. We were taken to a private dining room on the second floor with a massive spread of sushi, edamame, gyoza and ceviche that was patiently waiting for us. There we had the Basil Pome, a cocktail made up of fresh pomegranate, basil and Partida Tequila. This was easily one of every one's favorite cocktails of the night. It was sweet, but not too sweet and the basil added an extra layer of complexity to its flavor that was much appreciated. The night was starting to slow down as we made our way to the last place on the tequila train. People's speech was starting to slur and eyes became just slightly glossy. We stumbled into 32 East for our last round of dranks and some much needed pizza. 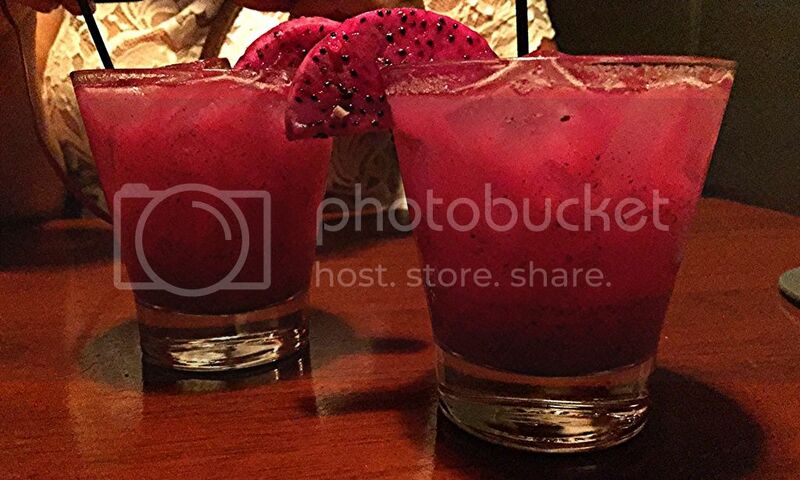 The last cocktail of the night was called the Purple Dragon made of a homemade puree consisting of dragon fruit, watermelon, grapefruit juice, fresh basil, Partida agave syrup and Partida Tequila añejo with a slice of dragonfruit as garnish. This drink was ridiculously refreshing and when it came time to add up the tally on the best drink of the night, the Purple Dragon was the clear winner. The generosity and hospitality by SWSBevGirl and Partida Tequila was beyond words. All the winners that tagged along for the bar crawl ended their night with a belly full of tequila, food and goodie bags filled with Partida swag. Luckily for you, SWSBevGirl hosts monthly giveaways on her instagram so you do not have to miss your chance to get in on this. Be sure to follow her here so you don't miss out on the chance to take part in the next sweepstakes!